These are all books that deal with magic: wands, spells, curses, potions, hexes, thoughts (mind-magic), art, symbols, rituals, magical languages, witchcraft, etc. Wow, just wow! This book is amazing! I didn’t know about this book before I started blogging. 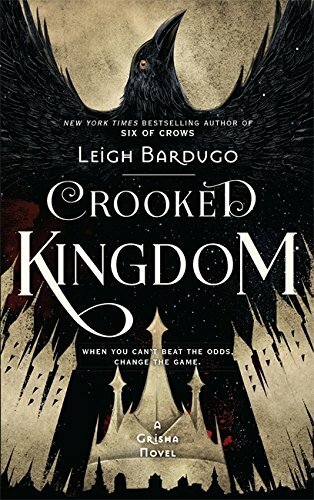 But then this book was appearing in so many posts, and I’ve seen it on bookstagram and booktube, and with the publication date of a second book in a series approaching, I decided that I just have to see what’s the whole hype about. I’m glad I did. What a pleasure it was to read about Harry Potter again! After all those years, we have a new story of Harry, and now it is something completely else. First of all, this is a play – and it has to be read as a play, so do not expect the same level of complexity as in a seven hundred pages book. Second of all – this is a story of Harry and Ginny’s son – Albus and Draco Malfoy’s son – Scorpius. A friendship of Potter and Malfoy! Something unimaginable nineteen yeas ago now is happening. Albus is not feeling as he is loved by his father, he feels that Harry wished he never had Albus or at least that Albus was more like his older brother James. He feels isolated, and the burden of being the Potter is heavy n his shoulders.